The Linton Cobras Club formed in 1989 as a result of 1st Battalion, Royal New Zealand Infantry Regiment being permanently relocated from Singapore to Linton Camp. The following year, 1990 saw the emergence of the Linton Cobras Club, as well as their adoption of the “Cobras” Club emblem and title. The Club then quickly became one of the most respected clubs in the Manawatu competition. Since our emergence, the Cobra’s have played in several Grand Finals in both the Premier (four of the last seven years) and Reserve grade, taking honours in both grades on several occasions. 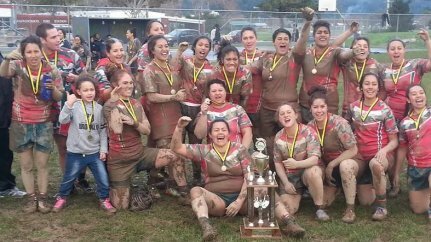 2014 saw the birth of the Linton Cobras Women’s team which played in the Wellington Women’s Competition. The team had an outstanding season, winning every single match including the Grand Final. Their outstanding performances throughout the year were rewarded when five players were selected in the Kiwi Ferns train on squad. From there, Krystal Murray and Jana Vaughan represented the Kiwi Ferns in the Auckland NRL Nines and the ANZAC Test against the Jillaroos side. 2017 marked an important moment in the clubs history with the establishment of five Junior teams and a Masters team.